Paige Greenlee has demonstrated leadership in the Tampa legal community. She has proven to be a knowledgeable and dedicated professional in her field. Paige has been a dedicated leader with local and Florida professional organizations since the beginning of her legal career. Extensive experience with many types of litigation matters, including contracts, real estate, construction and creditors’ rights. Established tradition of honoring and serving clients and community through relationships built on integrity, respect and loyalty. 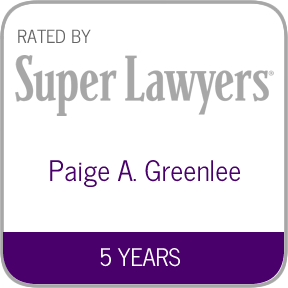 Paige A. Greenlee founded Greenlee Law PLLC in 2014, after spending twelve years in private practice at both large and mid-sized firms in Tampa. Paige practices primarily in the areas of complex commercial litigation and bankruptcy, and represents businesses, trustees, and individual clients in both state and federal court. She has extensive experience with many types of litigation matters, including contracts, real estate, construction and creditors’ rights. Paige has been a dedicated leader with local and Florida professional organizations since the beginning of her legal career. Paige served as President of the Florida Bar Young Lawyers Division (“YLD”) during the 2012-2013 bar year, after having served on the Florida Bar YLD Board of Governors since 2007 as one of the Thirteenth Circuit representatives. Immediately following law school, Paige served as a judicial law clerk for the Honorable William Houston Brown and the Honorable Jennie D. Latta, United States Bankruptcy Judges for the Western District of Tennessee. Following her clerkship, she began practicing with a large Tampa law firm and has spent her career in private practice in Tampa. In addition to representing the more than 25,000 members of the YLD, as YLD President and President-elect, Paige also served as a member of The Florida Bar Board of Governors for two years. During that time, Paige served as a member of the Florida Bar Executive Committee, which acts on behalf of the Bar in between meetings of the Board and handles time-sensitive matters on discipline, lobbying, rule-making, budgetary and other matters, and provides guidance and oversight of the selection of the Bar’s nominees to the Florida Governor for Florida’s judicial nominating commissions. In addition, Paige served for two years on the Bar’s Disciplinary Review Committee and on The Florida Bar’s Strategic Planning Committee. Paige currently serves on the Hillsborough County Bar Association (HCBA) Board of Directors and the Executive Council of the Business Law Section. 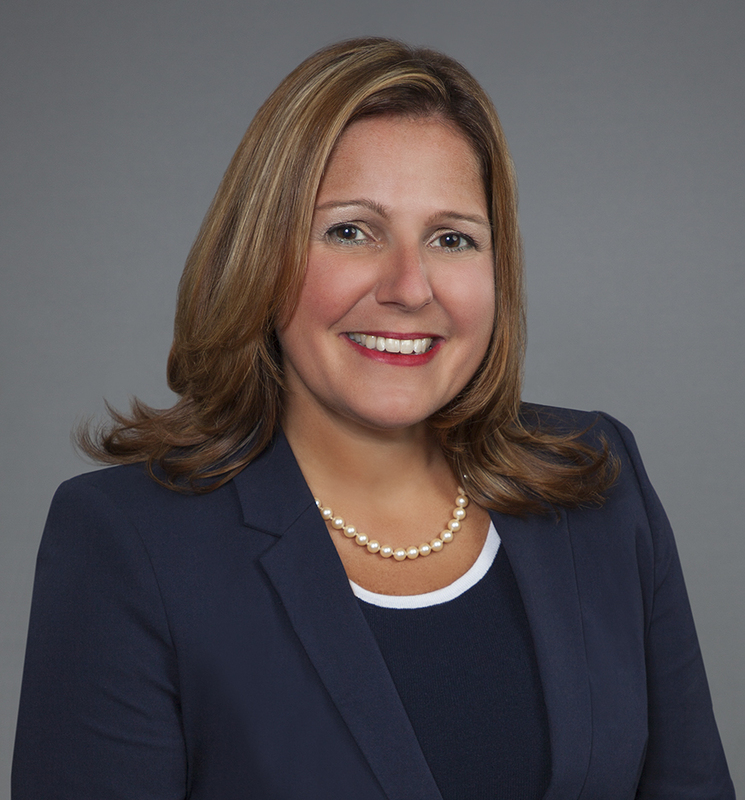 She previously served on the Florida Supreme Court’s Commission on Professionalism, the Board of Directors of the Hillsborough Association for Women Lawyers and the HCBA YLD Board of Directors. In addition, Paige also is a strong supporter of access to justice and pro bono legal services. Paige was appointed by The Florida Bar Board of Governors to serve on the Board of Directors of the Florida Bar Foundation, and currently serves as the Vice-Chair of its Development Committee. Paige obtained her Bachelor of Arts in Politics, Philosophy and Economics in 1997 from the University of Pennsylvania, and her Juris Doctorate in 2000 from Emory University School of Law. While at Emory, Paige was elected Editor in Chief of the Emory Bankruptcy Development Journal, served as a class representative to the Student Bar Association, and was selected as a Dean’s Fellow to serve as a student teacher of the first year Legal Writing class. Paige is admitted to practice law in Florida, Georgia, and Tennessee. Paige has received a number of professional recognitions and honors. 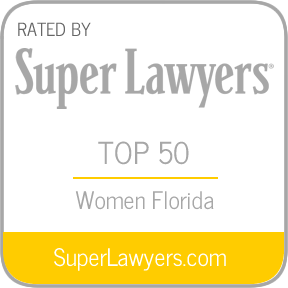 In 2014, Paige was selected as one of Super Lawyers’ Top 50 Women Attorneys in Florida, and was named a Florida Super Lawyer in 2013 and 2014. She previously was named a Florida Super Lawyers “Rising Star” in 2009 and 2010. Paige has also been recognized as a Legal Elite “Up and Comer” by Florida Trend Magazine in 2013 and 2014.